Happy Friday! 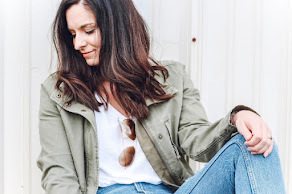 This week's roundup of what I am currently loving is different than normal because I'm sharing nine picks instead of eight and they are all from Target (and under $40)! Every fall, I rekindle my love for Target clothing because they always nail, especially with the A New Day collection! So many super cute things! Which of my budget friendly picks is your favorite?! 1. Black Heels | How darling are these heels?! I love the shape of the toe, the ankle strap, and the perfect height. Such a classic shoe! 2. Olive Jacket | An olive jacket is definitely a closet staple. I have a similar one but I have been looking for one that also had a hood. I love this option for such a great price! 3. Pink Shift Dress | The color of this dress is gorgeous! Such a great shade of pink. I would style this dress for fall with a long, cozy cardigan and over the knee boots. 4. Satin Cami | I love a good cami for layering during the fall. I think this one would look so cute underneath a denim jacket or a chunky knit cardigan. So many possibilities to dress it up or down! 5. Short Sleeve Hoodie | Athleisure wear is essential during the cooler months for staying cozy and comfortable. I love this hoodie because it could be worn now just as it is or when it gets cooler, you could layer it with a long sleeve striped tee underneath. This would look super cute with leggings or jeans! 6. Metallic Trim Tee | This basic tee is elevated by such a cute metallic trim detail on the neckline. I would size up in this tee for a more oversized look to knot it or to do a front tuck. 7. Chenille Cardigan | I am loving all things chenille right now because I am all about feeling like I'm wearing a blanket. Who's with me?! I love the length of this cardigan because it's leggings friendly! 8. Side Slit Sweatshirt | Again another athleisure piece that would work for the gym or with jeans for a casual Saturday afternoon. I love the blush pink (but it also comes in several other colors) and the side slits! 9. Leopard Bag | Y'all know I love all thing leopard and this adorable bag is no exception. I am currently reaching for smaller bags like this one right now that I can throw into a bigger bag when needed. Plus this bag is less than $20! I love that leopard bag! Great choice! Happy weekend! I am loving number 1 & 8! Need that leopard bag!! Love all of this picks! Target has the best outfit staples! Love these. Target always has such great finds. I swear, every time I run in for one thing I come out with 100! These are no exception. I am in love with that blush side slit sweater. Love the color and how it's such a cute piece! Great post! The tank in number four is definitely my fave! My favorites are the shift dress, the cardigan, and the split sweater! All great picks! Those are all such cute picks. I love that satin cami. Target is seriously the best for finding amazing but affordable stuff!